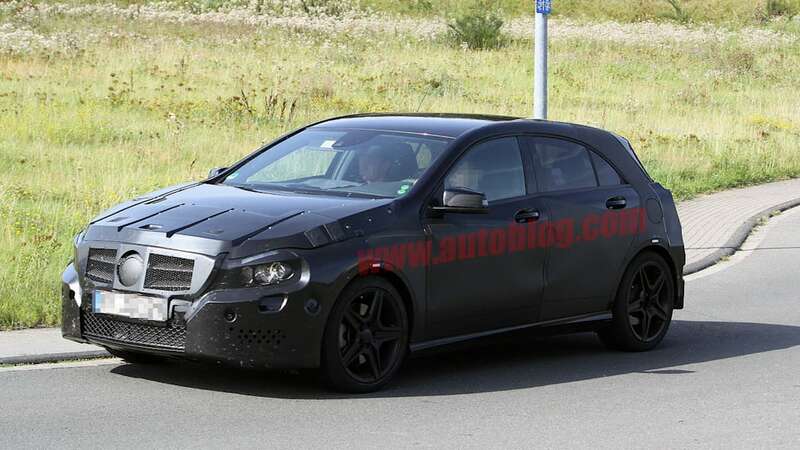 The Mercedes-Benz A-Class is coming to the United States, and we're already eager for some seat time. 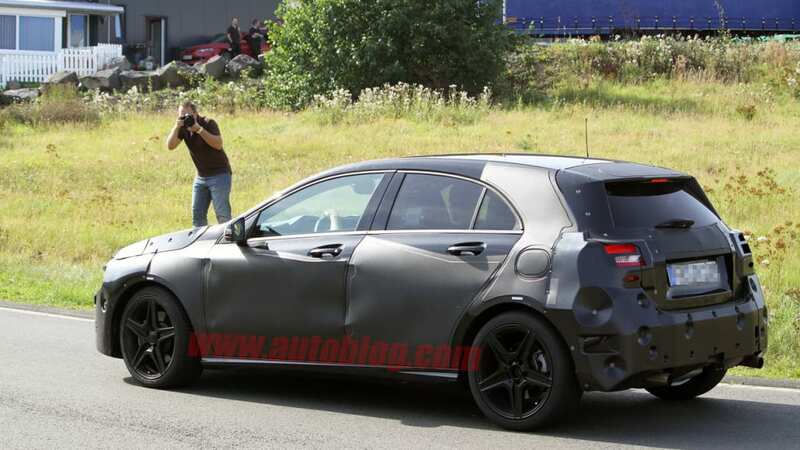 And while Mercedes-Benz hasn't outright confirmed an AMG variant, our spy photographers managed to snag a camo-clad compact wearing all sorts of bulgy bolt-ons. 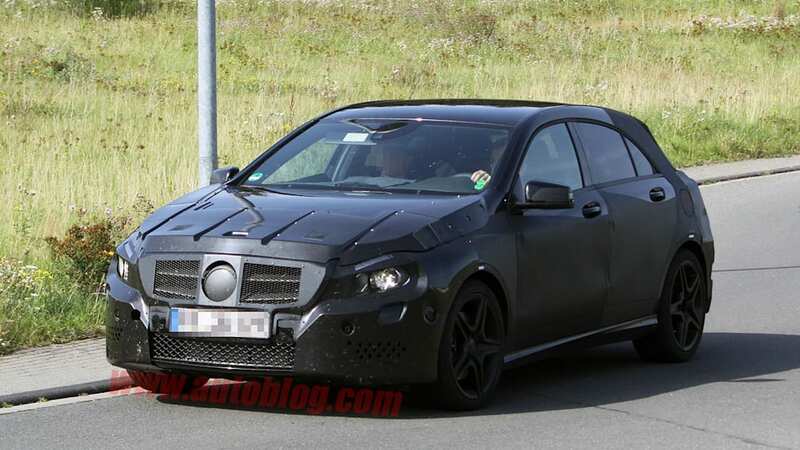 Our best guess is that some sort of AMG treatment lies beneath. 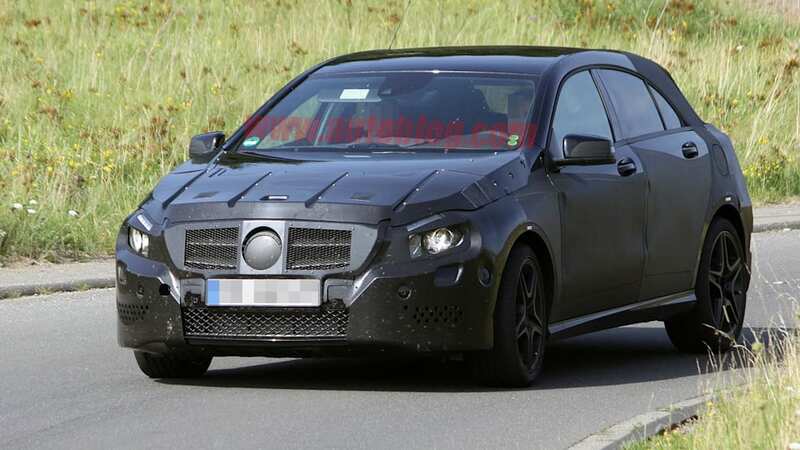 The large wheels and tires do nothing to hide the large brakes lurking just behind the rolling gear. 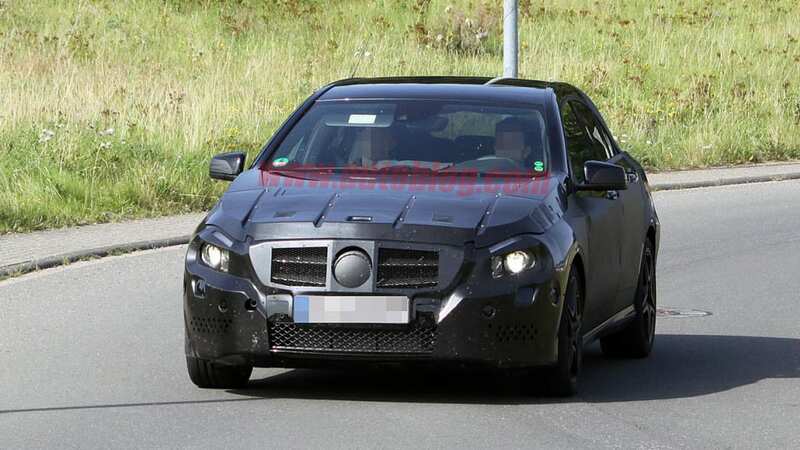 A larger air intake is seen up front while larger exhaust pipes are poking out of the rear. 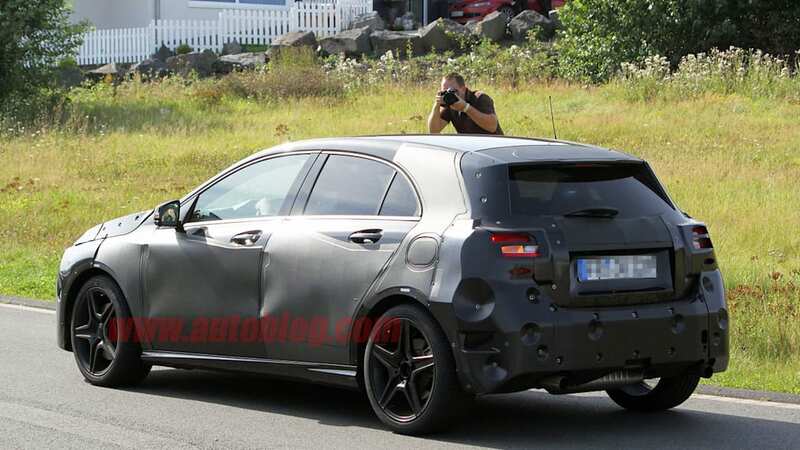 Rumor has it that the Mercedes-Benz A-Class AMG will be powered by an engine producing between 320 and 350 horsepower, filtering its energy through a seven-speed dual-clutch transmission and running to the ground via all-wheel drive.